Can’t wait? Neither can we… less than two weeks before the kick off, and here are the most burning questions we could think of about the 2010 FIFA World Cup. Brazil – Will Dunga’s “European Style” Deliever the Goods? Everyone expects Brazil to be a fantasy team, but that concept didn’t work in 2006 as the super-ego squad didn’t make it past France in the quarter finals, Brazil’s worst finish since 1990. 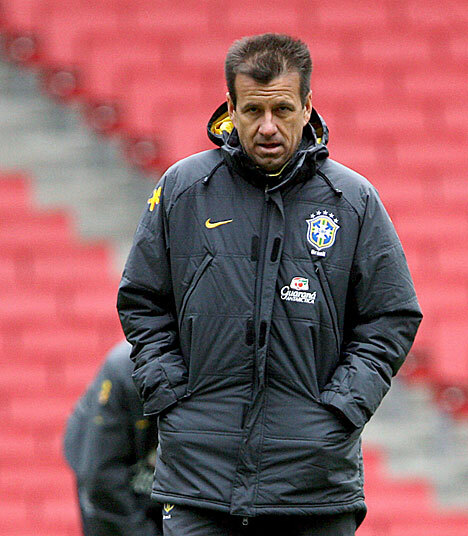 Dunga came, and despite not winning a lot of fans in the Brazilian media for his style, he’s won titles. The 2007 Copa America and the 2009 Confederations Cup. He put a lot of emphasis on defense and defensive midfielders. Why shouldn’t he? Brazil finally have an abundance of quality and talent in the back four and between the posts, and he relys on his super-quick counter attacking players, orchestrated by Kaka, and Fabiano’s finishing. It may not be what people expect from a classic Brazil team, but it might be enough for a sixth World Cup trophy. England – Is Capello the Man to Relive 1966? England, at least in the last decade, always have talent. Maybe not perfectly technique-gifted type talent, but there’s enough to mount a serious challenge at the World Cup. Somehow, things always crumble. More often than not, it comes to penalties. 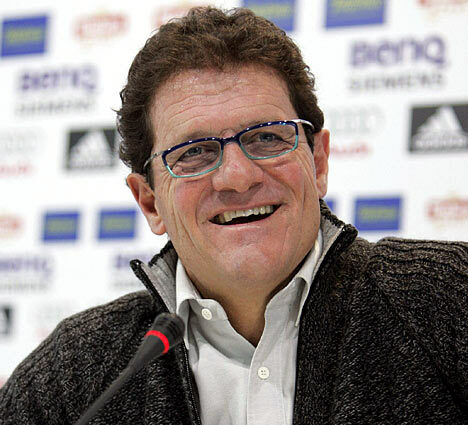 Capello is arguably the best coach in the world. The bottom line is, he wins titles. He has Wayne Rooney upfront, maybe the best forward in the world. England were one of if not the most impressive side during the qualifying group and also got to avenge and handily thrash Croatia twice. But it’s been a long time since then, and it again remains to be seen if the huge pressure from the fans and British Media won’t crush England’s players. The more we get closer, the less optimistic I am about England’s chances. 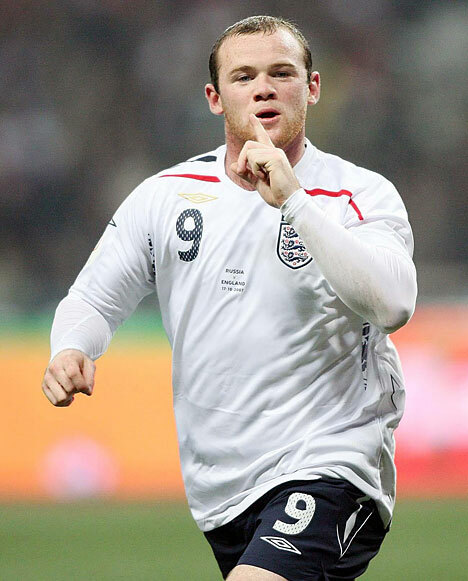 But if Rooney continues his fantastic club form, they have a shot. He’s that good. 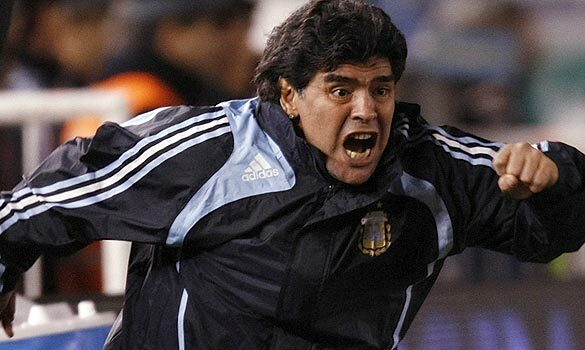 Argentina -Will Maradona Run Naked?? Just Kiddin’ – Is the Barcelona Messi Going to Show Up? Now that we know Maradona is going to run naked if Argentina wins, maybe even some Argentinians don’t want the Albiceleste to win for the third time in World Cup history. 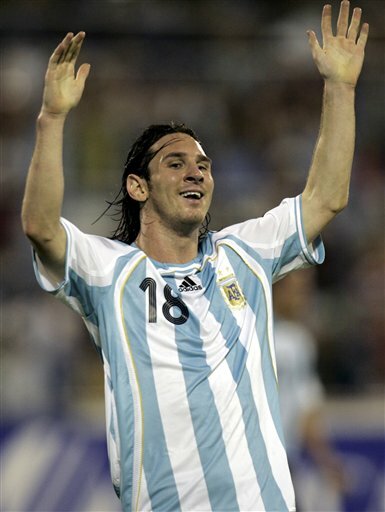 Maradona knows he needs the best player in the world to forget about the grueling club season he just finished (53 matches, 47 goals) and start showing his magic for Argentina as well, something that hasn’t happened during the almost tragic-ending qualifying stage. He’s got what is maybe the best attack (including bench) in the world. He has an OK midfield and a probably less than that defense. Enough? If hefinally plays the right tactics, something that will allow Messi to roam free like Guardiola does, and Lionel doesn’t cave under the huge national pressure, we might get to see Maradona naked. The most talented side in the world, that also plays the most beautiful soccer in the world. Enough for Spain’s first World Cup trophy? Spain finished fourth in 1950, but since haven’t made it further than the quarter final. They are loaded in about every position, and if Torres and Fabregas return to full health, I find it hard to believe anyone can match up with them, trying to play them straight up and not go Inter on them. Still, Marcos Senna, who was extremely effective during the Euro 2008 win, won’t be around this time, and it will be interesting to see who will Del Bosque play in the middle, and will he play both Villa and Torres or leave (probably the Liverpool man) one of them on the bench. Africa – Will an African team shine on it’s own continent? Probably not. South Africa are one of the weakest sides in this tournament and my money is on them not making it through the group stage (France, Mexico, Uruguay). Still, just a reminder, no other host has ever failed to qualify from the group stage. Nigeria might make it out of Group B, but they weren’t very impressive in the Africa Cup of Nations and look like a group of very talented individuals who share a nationality and not much else. Algeria might surprise a few, but they have a shot of joining England from Group C into the last 16, but don’t be surprised if the opposite happens and they fail to win a match. Ghana are in a very tough group and without Essien don’t stand much of a chance. They also looked horrible again the Dutch tonight (lost 4-1). Cameroon? Eto’o is probably the only thing they have to sell, and he seems past his prime and not too happy after Milla’s comments about him. 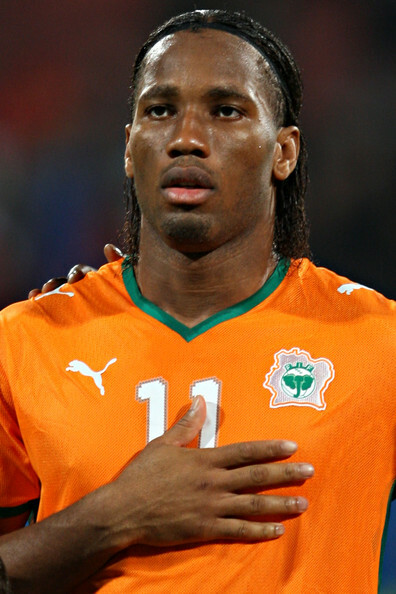 Ivory Coast? The second best team in Africa (Egypt are the best) but a side no one really wanted to face – fast, physical and more experienced than in 2006, their debut in the Mundial. If Didier Drogba emulates his 2009-2010 form for Chelsea, they might be a very dangerous team for Brazil and Portugal to face. North Korea – How did they get here? Defense, Defense, Defense and luck. None of these will help them in a group with Brazil, Portugal and the Ivorians. 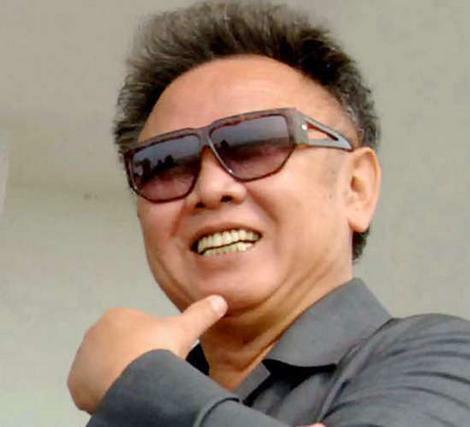 Kim Jong Il’s side might set a record for conceded goals in a tournament when it’s all said and done.